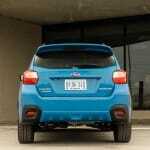 What I like about the Crosstrek is that it isn’t just a jacked-up Impreza. 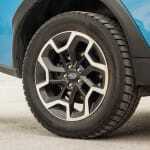 The compact crossover craze that everybody is trying to get into isn’t exactly new to some automakers. Brands like Honda and Mazda are both new to the game, with the HR-V and CX-3. 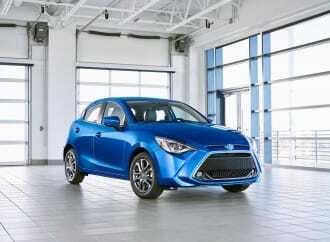 Both are good entries that prioritize a small exterior footprint, but both deliver very differently in a few ways. Both have their unique attributes that let you choose the best vehicle for your needs, but what if you’re looking for something that’s actually a little rugged? The two aforementioned compact crossovers offer some ground clearance, but it’s really only good for getting over the odd snowbank that the plows leave for you at the end of your driveway. 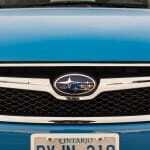 Subaru has long been known for their excellent all-wheel drive systems. The larger Outback has been a strong seller because of the utility afforded by the wagon, and the generous ground clearance. Subaru’s Impreza also received the Outback treatment at one point. This consisted of more plastic cladding on the exterior (often two-tone), raised ride height, and a unique wheel & tire package. 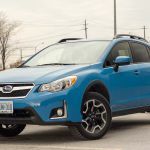 The Impreza would also get this treatment for the 2013 model year, but it would go on to be called the Subaru XV Crosstrek, dropping the Impreza name entirely. 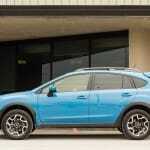 The 2016 model year update would take things one step further – dropping “XV” from the name. 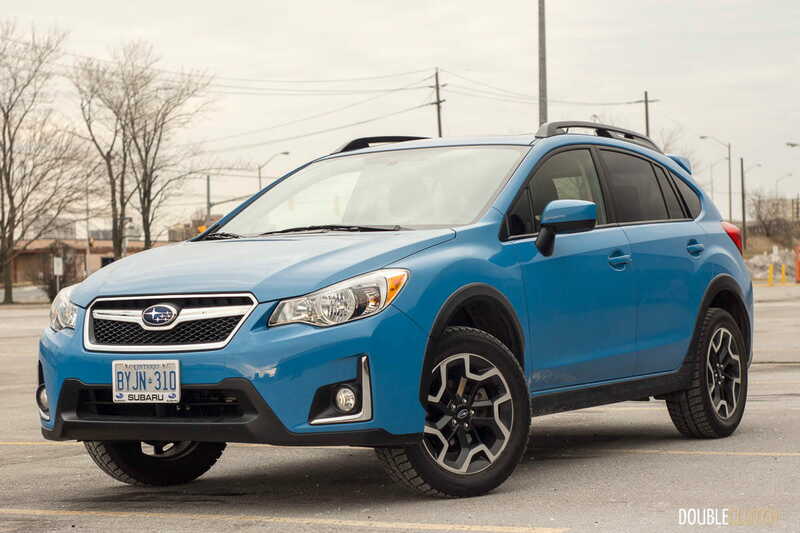 I got the chance to test a manual-transmission 2016 Subaru Crosstrek Sport, painted in a bright shade of Hyper Blue – a new colour for this year. Building on our First Drive review posted earlier this winter, the 2016 Crosstrek sees a minor update, and most of the new goodies are only seen on the interior. Hyper Blue is a great addition to the Crosstrek fleet, but I’m a little sad to hear the bright Tangerine Orange Pearl paint is no longer available. Externally, the front end gets a minor update, with some added chrome around the fog light surrounds. 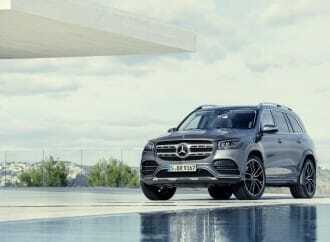 The front grille and headlights also get a minor update – you’d have to put one side by side in order to see the differences. 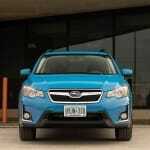 If you’re familiar with the Subaru Impreza, you’ll be seeing more of the same with the Crosstrek. 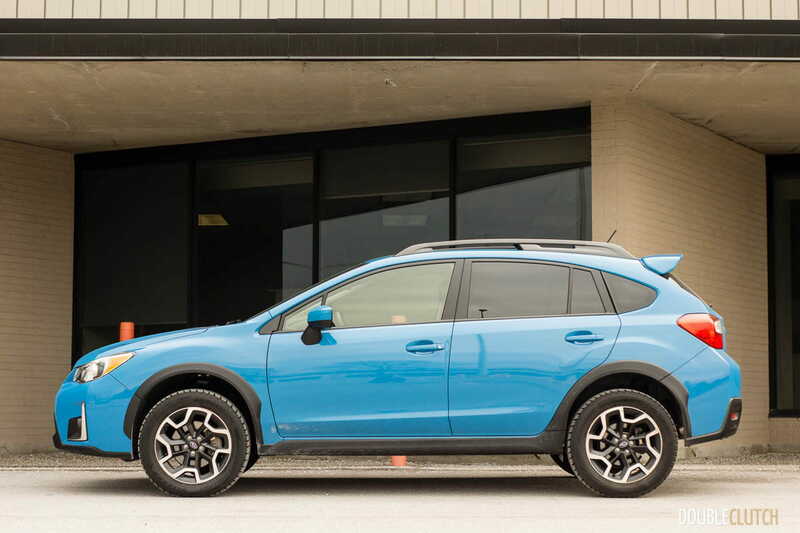 While the Impreza is a fairly mundane little hatchback that can sometimes blend into its surroundings, the Crosstrek possesses a more outward appearance. 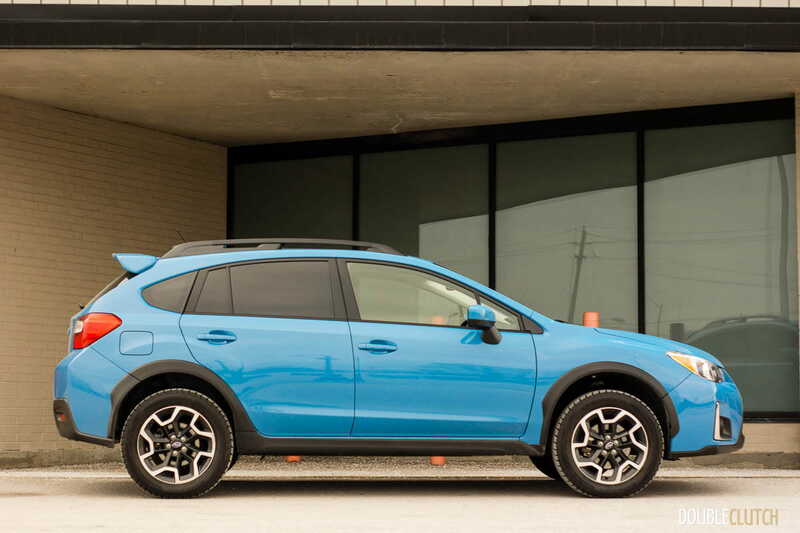 The contrasting plastic body cladding returns, and the chunky two-tone wheels go well with the more rugged styling of the Crosstrek. 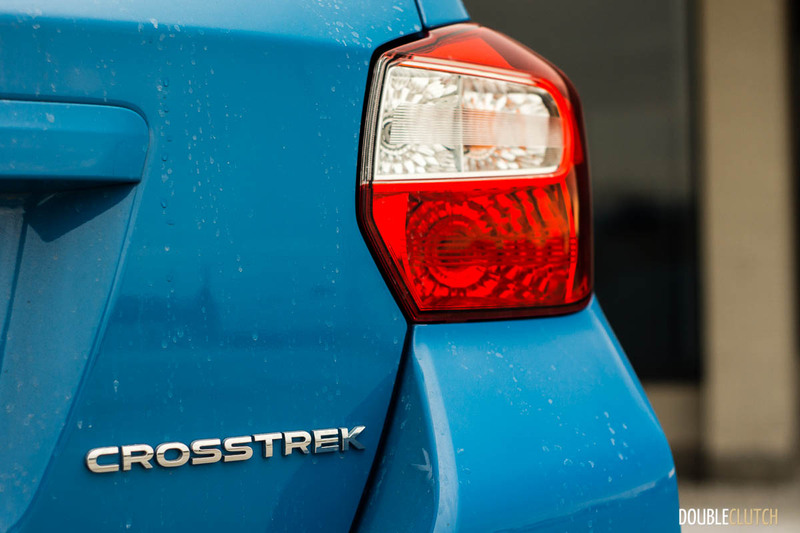 Up front, the Crosstrek benefits from improved lighting – Sport and Limited trims get high-intensity discharge low-beam lighting. What’s unique (at least nowadays) is that the housing still utilizes an old-school reflector setup; there are no projector lenses here. This isn’t a bad thing – any sort of HID setup is preferable to a basic halogen setup in my books. The traditional halogen parking lights don’t quite match with the brilliant white of the HID low-beam, though. A whiter LED bulb would go a long way, here. The exterior styling of the Crosstrek works better here than with the Impreza, probably because of the fun colours and chunky exterior style. 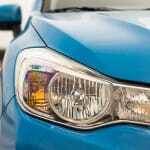 Inside, appointments are much closer to the Impreza, with a few updates here and there. The cloth seats and leather-wrapped steering wheel in my tester are accented by some bright orange stitching – a nice touch. Other than that, it’s more of the same. 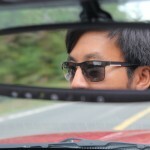 What I especially like is the great visibility from the driver’s seat. A large windshield and side windows, combined with narrow pillars and power sunroof make for a very airy feel. The driver’s seating position is a little higher thanks to the ride height, but it’s not quite comparable to a more conventional crossover. 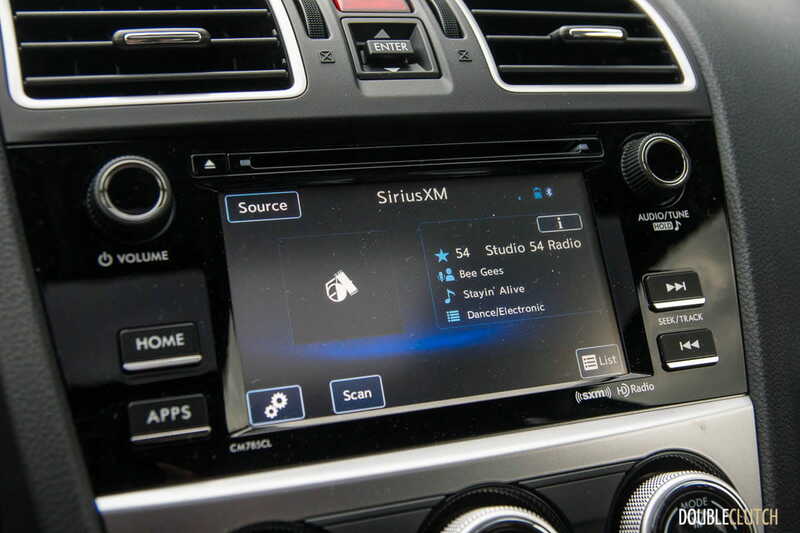 The 2016 update brings along Subaru’s new Starlink infotainment interface. 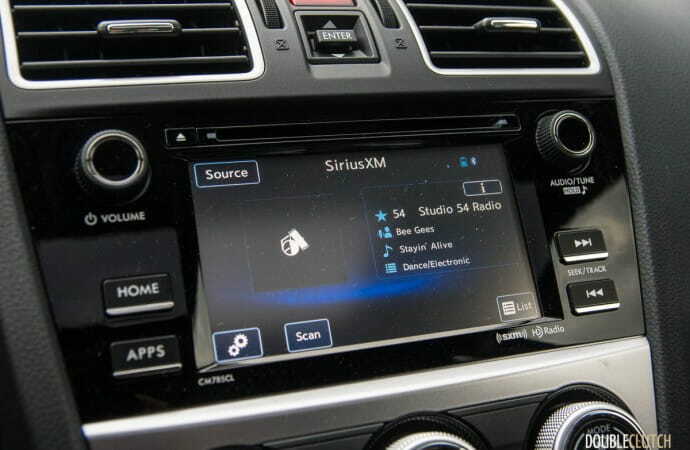 The Sport model doesn’t feature built-in satellite navigation, but it still features a touch-intensive interface that handles all entertainment, with support for new services such as Pandora and Aha internet radio. 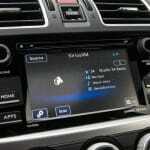 Subaru’s system works, but lags behind most in the industry, which is beginning to lean towards Apple CarPlay and Android Auto setups. The rest of the interior is very similar to the more premium WRX, minus some of the racy faux carbon fibre bits. I like that the LCD screen at the top of the centre console remains, including its configurability. 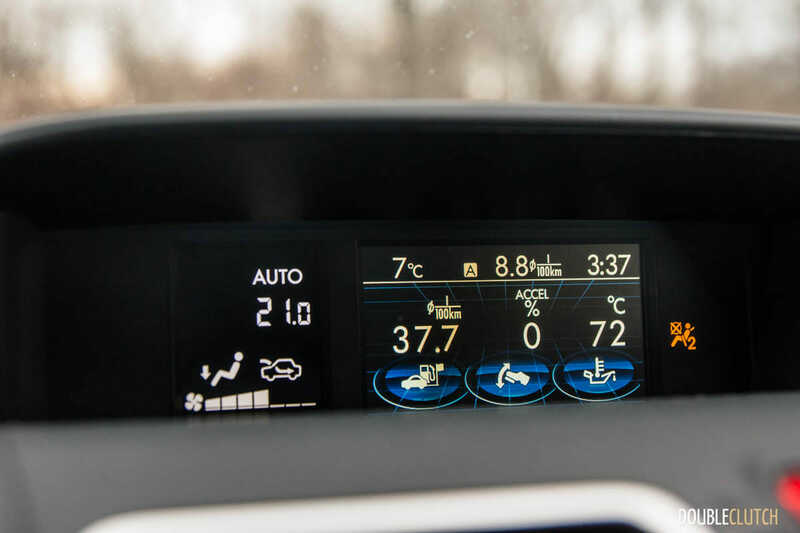 You can configure the triple meter screen to display oil temperature – something that’s always worth keeping an eye on from an enthusiast’s point of view. People in the past liked to poke fun at Subaru’s spartan interiors. 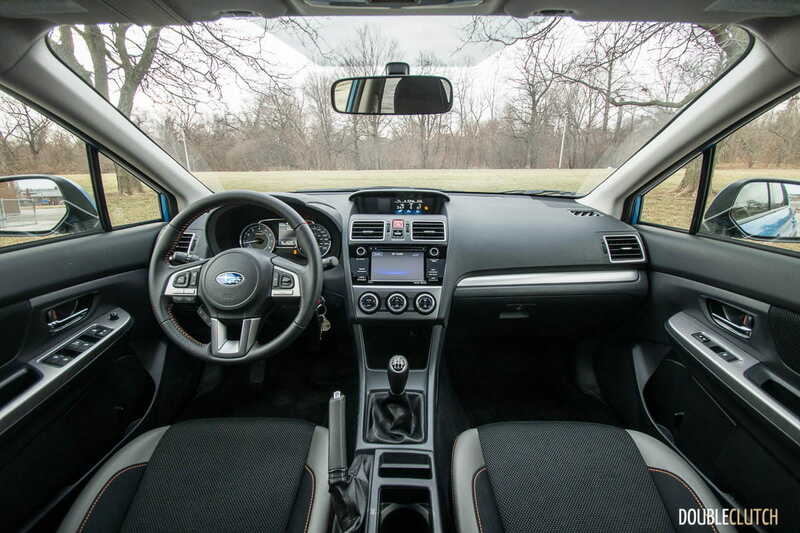 While it’s still no stunning Scandinavian design, the Crosstrek interior matches up to the look and feel of the exterior – no nonsense, utilitarian, and cleanly-designed. 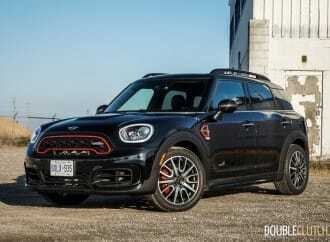 Accommodations for four aren’t a problem – five will fit in a pinch, and when you fold down the second row of seats, the hatchback utility is great to show off, with a load floor that is almost flat. 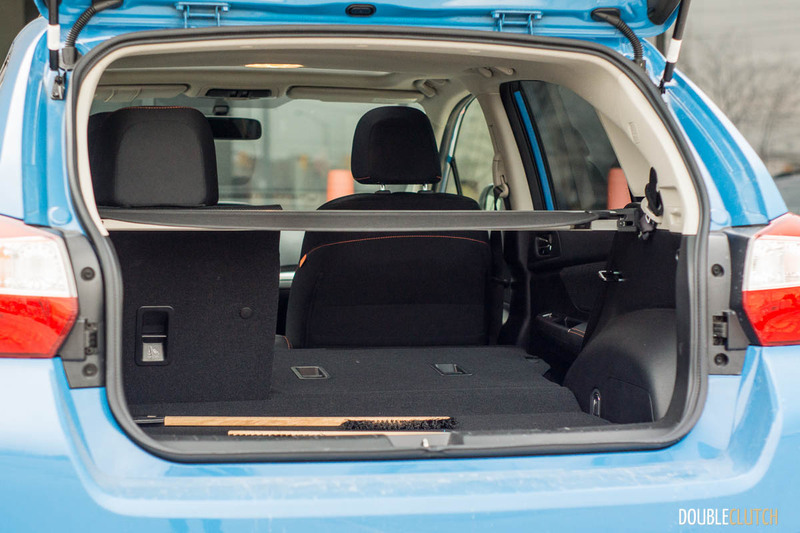 Considering its size, the Crosstrek can hold a lot of cargo, whether it’s your active family, or flat-pack furniture from IKEA. It’s also worth noting that the Crosstrek receives Subaru’s highest Top Safety Pick+ rating from the Insurance Institute for Highway Safety. To many people, a rating like this worth more than just a dollar value. Many people buy Subarus for their unique powertrains. Up here in Canada, all-wheel drive is almost a required feature nowadays, and pretty much everybody offers it as an option. The Subaru Crosstrek is a little unique in that the marque’s famous Symmetrical All-Wheel Drive system comes as standard equipment, regardless of the trim model you choose. Most competitors in this price and size class start you out with a front-drive setup, with an all-wheel drive option costing thousands of dollars more. 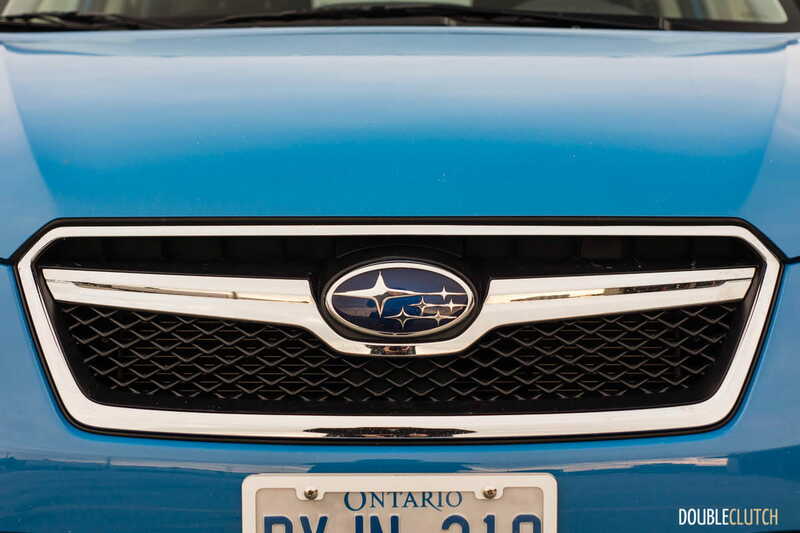 Under the hood, resides Subaru’s trademark horizontally-opposed four-cylinder engine. Mounted longitudinally, it displaces 2.0L and is good for 148 horsepower at 6200rpm, and 145 lb-ft of torque at 4200rpm. 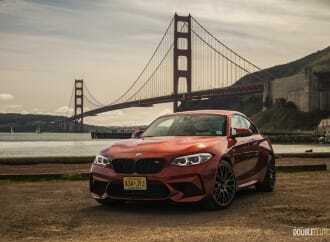 While this engine is from the current FB-series family, it skips direct-injection and turbocharging. 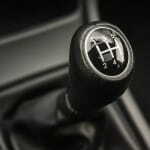 Thankfully, Subaru gives you the option to row your own gears, or have the car do the work for you, with its continuously-variable automatic transmission. My tester came equipped with the manual transmission, with five forward gears. 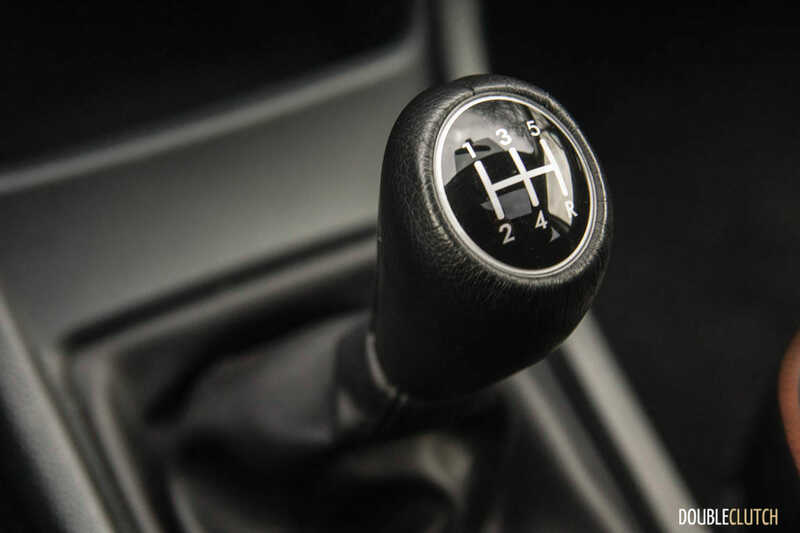 Normally, I would advocate for choosing the manual transmission whenever possible, but the transmission in this car seems to exist only to accommodate those who refuse to drive with only two pedals. The shifter and clutch feel isn’t bad, but the frustrating item was the rev-hang between gear changes. When you take your foot off the accelerator pedal and depress the clutch pedal, the revs are incredibly slow to fall, making the Crosstrek more difficult to drive smoothly. I’m not a big fan of slipping the clutch to bring revs back down, but it’s almost required in order to keep up with accelerating traffic. The second downside to opting for this particular manual transmission is the refinement at highway speeds. 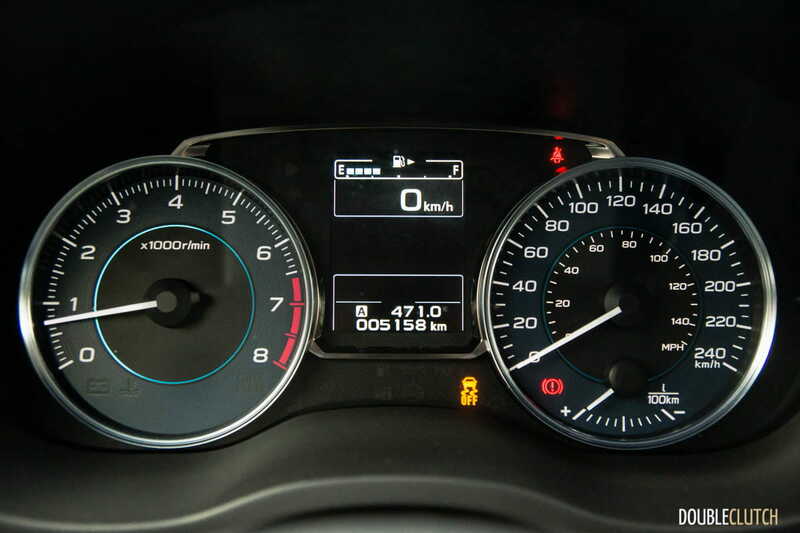 In order to keep performance acceptable, the gearing on the Crosstrek is fairly short – 100km/h sees the engine spinning at around 2700rpm. 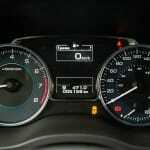 You’ll see the tachometer point to almost 3200rpm if you have to go faster to match the typical speeds of the 400-series highways in and around Toronto. 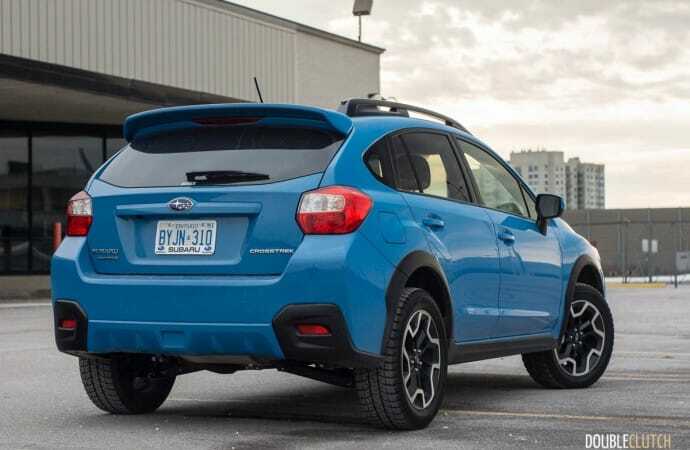 Furthermore, 148hp doesn’t sound like an unreasonable number these days, but I would not consider the Crosstrek to be fast vehicle by any means. One needs to remember that all this power needs to be routed through a considerable amount of all-wheel drive hardware, increasing the amount of mechanical drag before the power reaches the ground. 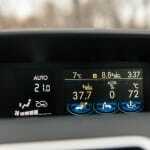 The CVT automatic seems to be where Subaru concentrated a lot of its resources – it’ll manage the available power a little better, and highway refinement will be improved. I’m just not a fan of the throttle tip-in with the CVT, so I urge you to test drive both transmissions if you’re still on the fence. The horsepower and torque in manual-equipped Crosstreks is routed through a fully-mechanical viscous coupling centre differential, with a power split of about 50/50 between the front and rear axle, which is unique in this class. In English, what this means is power is routed to all four wheels, all the time, regardless of the traction situation. Most compact CUVs with all-wheel drive feature a reactive system that only sends power to the rear axle when front axle slip is detected or predicted. 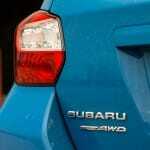 Subaru’s always-on system will move power around if the front and rear axles don’t agree with each other. There aren’t any electronics involved here – this is a purely mechanical system. Technical advantage: Subaru. 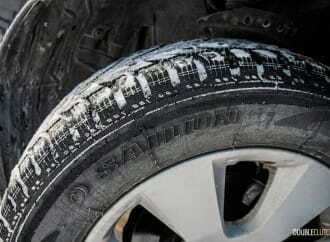 Most people assume that the all-wheel drive hardware translates to poor performance at the pump. 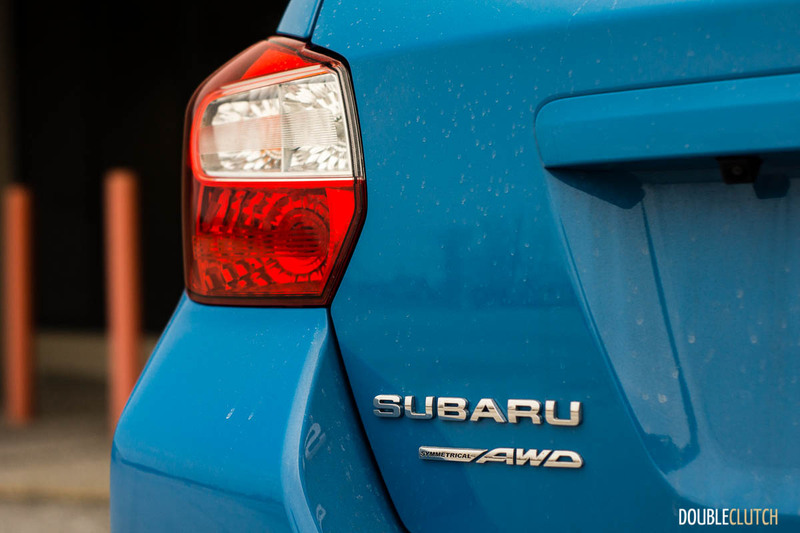 Subaru has gone to great lengths to improve and optimize the entire driveline, reducing friction losses along the way. Even though the mechanical viscous coupling centre differential competes with high-tech modern transaxles that can de-couple the driveshaft during steady-state operation, the real-world results I ended up with were fairly impressive. 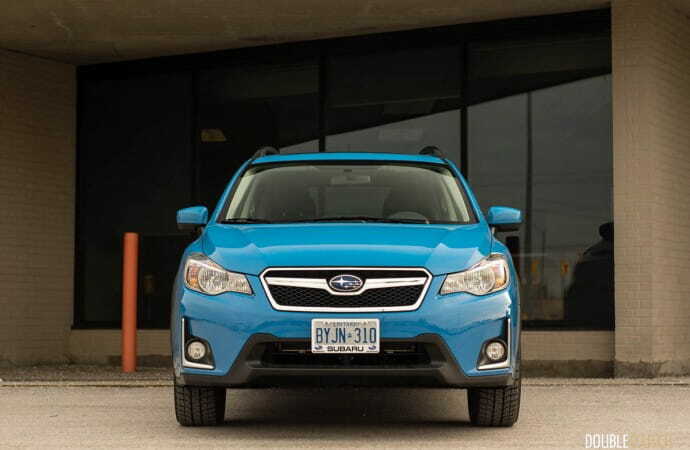 Subaru Canada rates the manual transmission Crosstrek at 10.2L/100km in the city, and 7.7L/100km on the highway. My week of mixed wintertime driving resulted in an indicated average of 8.8L/100km, almost right in the middle of the two estimates. The fuel tank will hold 60L of regular 87 octane fuel – I managed to squeak by with just above 600km before the low-fuel light came on. 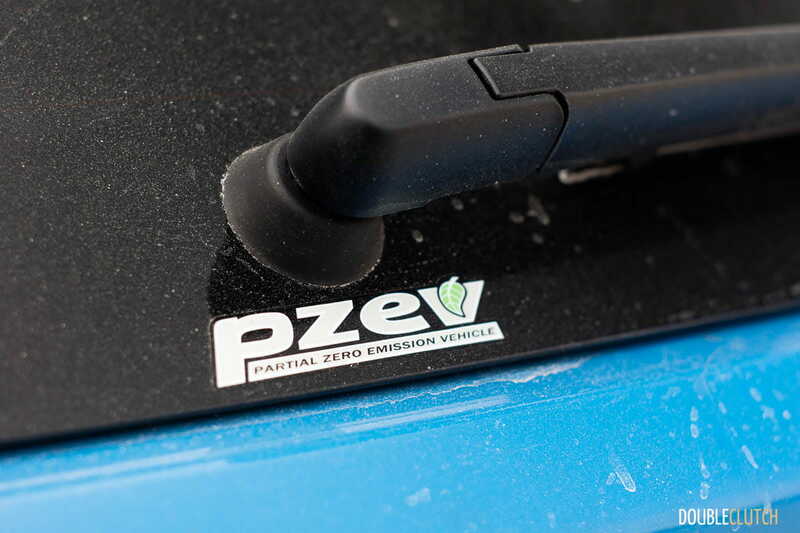 Subaru Canada also brags about the Crosstrek’s PZEV rating – for Partial Zero Emission Vehicle. In short, an improved catalyst, better filtration, and better-sealed fuel injectors reduce emissions in a way that drivers won’t notice day to day. 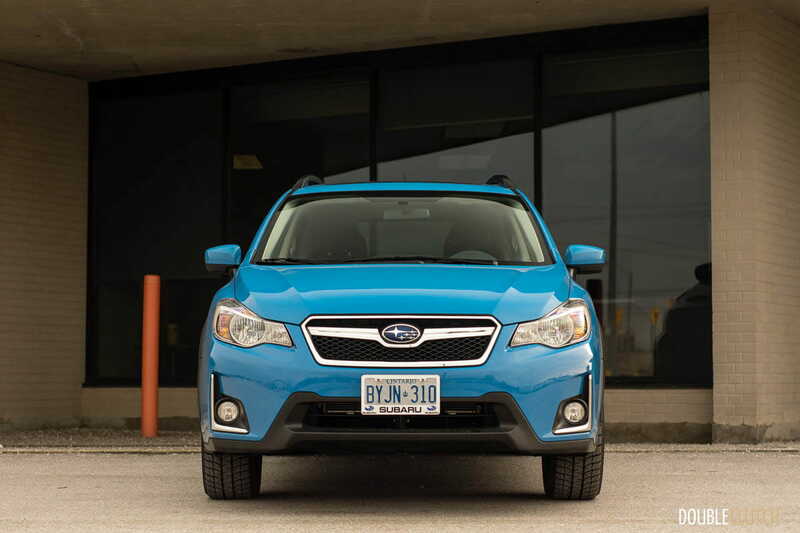 Subaru prices the Crosstrek from a base price of $24,995 for the base Touring package. It’s already decently-equipped, with the unique 17-inch wheels, heated seats, reverse camera, and Subaru’s Starlink infotainment interface. 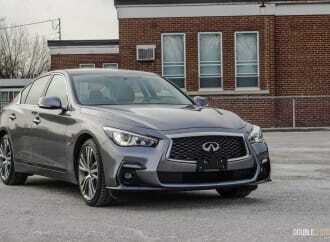 The $26,995 Sport package tested here, adds a larger rear spoiler, power sunroof, high-intensity discharge low-beam headlights, and a leather-wrapped steering wheel and shift knob. The top-end Limited trim, at $29,395, adds leather seating surfaces, dual-zone climate control, satellite navigation, LED signals in the mirrors, and chromed door handles. 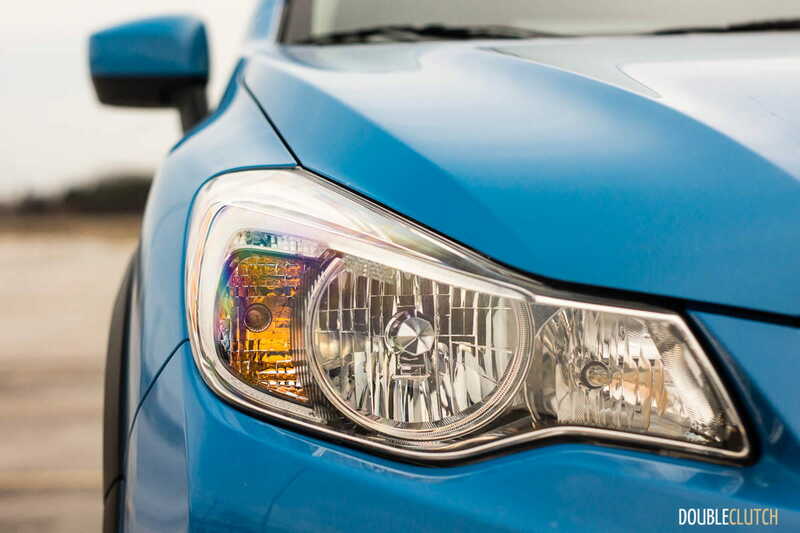 Furthermore, you can opt for Subaru’s excellent EyeSight system ($2500, reviewed here), as part of the Technology package, available on the Sport and Limited trims. In addition to providing full adaptive cruise control functions, it also adds forward collision warning, automatic braking, and lane departure warning. In other words, it’s a great way to bolster Subaru’s already robust safety credentials. 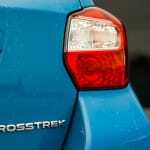 The only downside is that EyeSight is not available on manual-transmission Crosstreks. 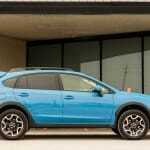 What I like about the Subaru Crosstrek is that it isn’t just a jacked-up Impreza. 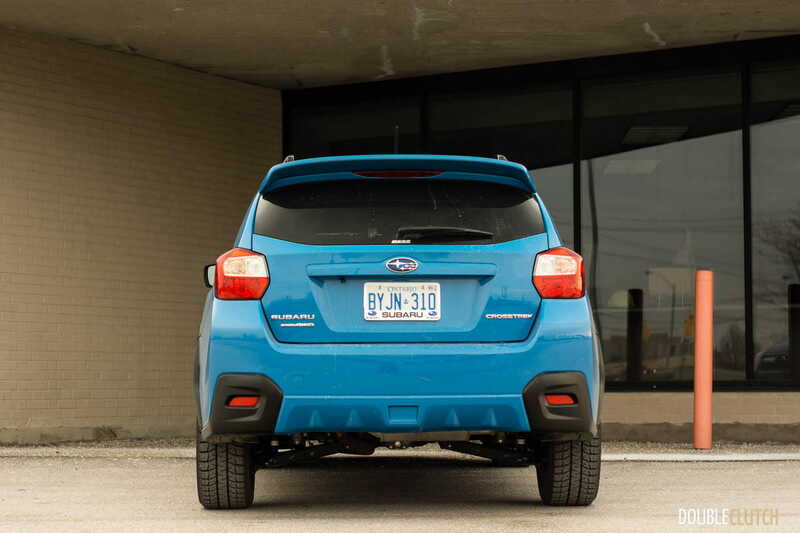 The Crosstrek competes with a high-value feature set, with most of Subaru’s best features thrown in. 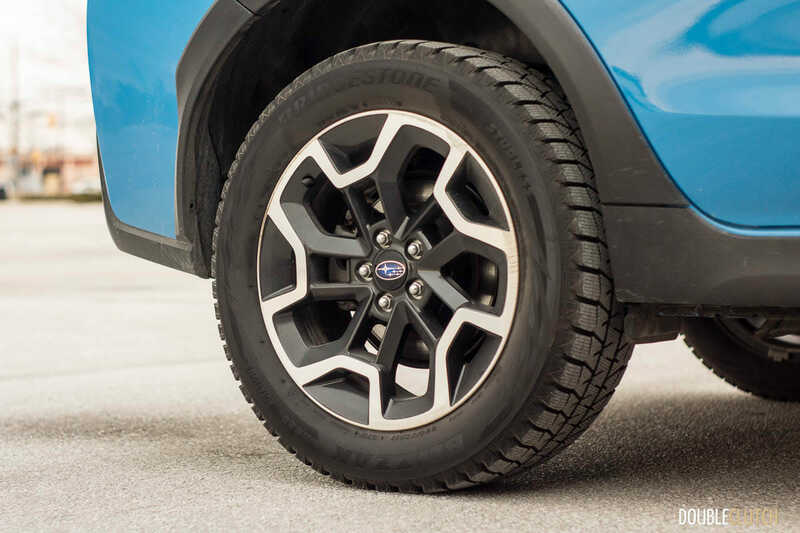 The Impreza, by contrast, competes with a bottom-dollar strategy – you can see it in the plastic wheel covers you get on the base model. The bright colours definitely help the styling work better on the Crosstrek, as well. The subcompact crossover segment is tougher than ever to compete in, but I think the Crosstrek has just enough unique cards up its sleeve to help it stand out from the rest. 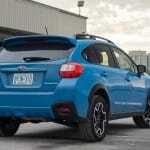 The robust all-wheel drive system and safety ratings alone seem to attract customers into showrooms, allowing Subaru to sell every single Crosstrek they can make. 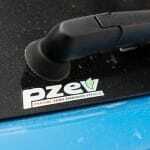 It’s not without its flaws, however – I would have liked for more horsepower (drop in the 2.5L out of the Forester! 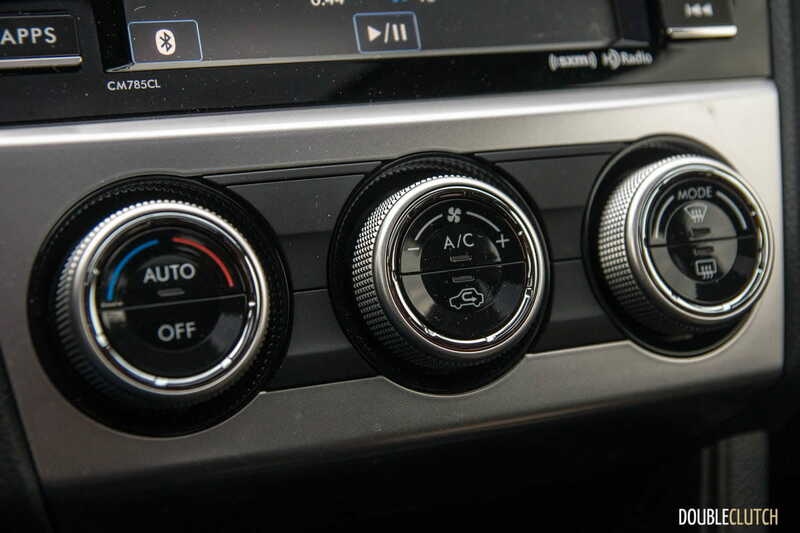 ), and its manual transmission interface leaves a lot to be desired. I suspect most buyers will opt for the CVT automatic, negating both of these issues somewhat. My money would go towards the Sport package, as it provides a good balance of value and useful features. The last thing I can be sure of is that the Crosstrek will allow Subaru to continue breaking sales records, month after month.